Regions around the country are struggling with the aftermath of the loss of heavy industry – companies running large plants and factories, employing thousands of workers and supporting the local tax base. Almono Mill 19 exterior before remediation. For many, the most tangible symbol of this decline is the massive, vacant buildings and campuses these companies left behind – rapidly deteriorating and becoming obsolete, with environment issues making them challenging to redevelop, or even to demolish. 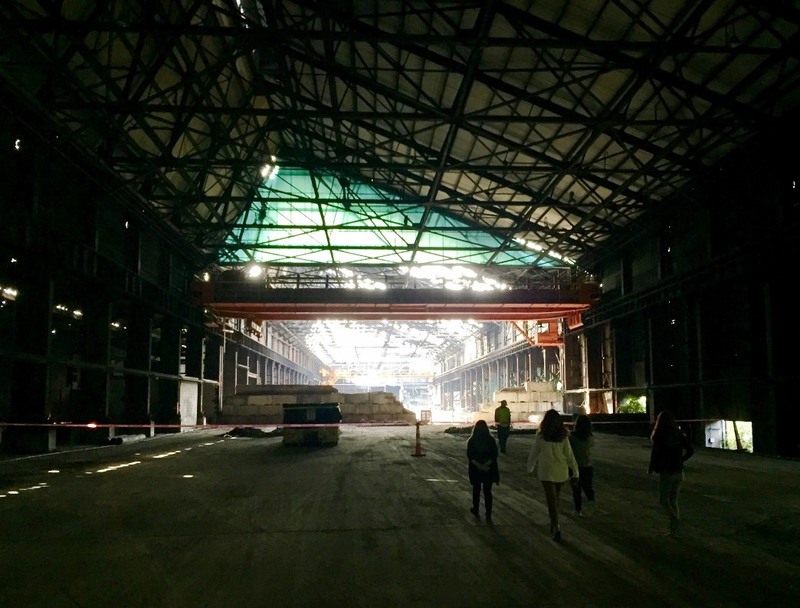 The Pittsburgh, Pennsylvania region has certainly had its share of these properties as global economic forces emptied millions of square feet of property in former steel plants and other industrial sites. Unlike many other regions, however, Pittsburgh has been successful in redeveloping many of these facilities, putting them back on the tax rolls and filling them with new economy companies that are fueling a regional economic renaissance. Almono Mill 19 interior before reuse. An important vehicle for accomplishing that has been the Regional Industrial Development Corporation of Southwestern Pennsylvania (RIDC), a unique entity that combines the community service orientation of a nonprofit entity with the entrepreneurial approach of a private sector business. As owners of 2800-acres of land, 50 buildings and 11 industrial parks, RIDC has had a major impact on the region’s economic growth. 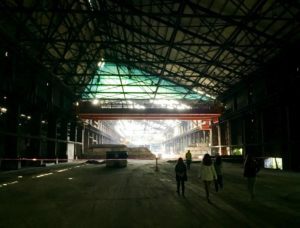 More important, perhaps, its approach – and some of its projects – may serve as a useful model for other regions around the country that, like Pittsburgh, have lost industry and find themselves trying to deal with the large, empty properties those companies left behind. Mill 19 with paneling removed (exterior). RIDC is not a governmental entity – it is a private nonprofit. It is self-sustaining, with revenues from development projects supporting its operations. Because it is a private entity, it can take an entrepreneurial approach, but because it is a nonprofit, its profit motive is tempered by its economic development mission – considering projects with a community’s needs in mind. It can afford to take a long-term view of success, favoring benefits to communities over short-term financial gain. One example of this is known as Almono, a project that has been unfolding over the past 15 years and is now beginning to yield significant results. 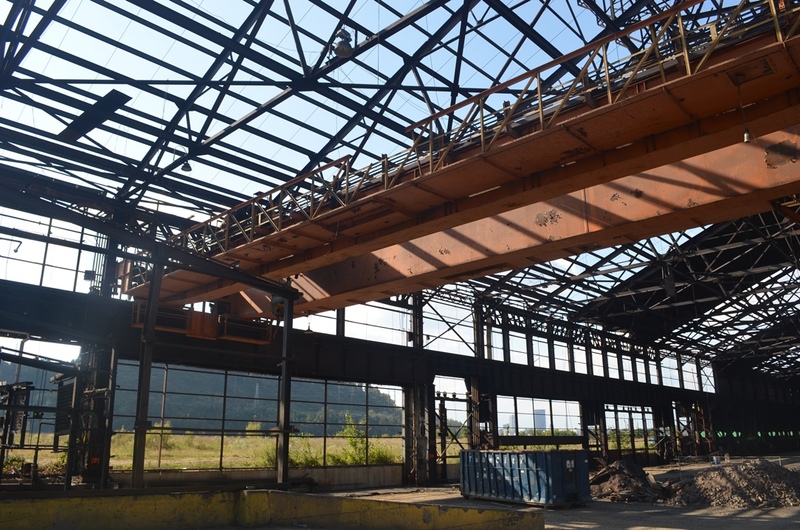 In 2002, four southwestern Pennsylvania foundations formed a limited partnership with RIDC as general partner, and purchased a 178-acre site that was originally operated by J&L Steel, and later by LTV Steel. Over the years, it included coke ovens, polishing mills, barge unloading and material handling facilities, and a rolling mill and hot-rolled bar mill buildings. Mill 19 with paneling removed (interior). Located on a remarkable riverfront plateau, the property was renamed Almono, after the three Pittsburgh rivers – the Allegheny, Monongahela, and Ohio. The vision for the property centers around creating economic value, ensuring diversity, high-quality placemaking design, and sustainability. An environmental plan is in place, including remediation and controls that will address issues related to pre-existing conditions and those related to the redevelopment process. RIDC and its partners have conducted over 100 community meetings and plans for the site reflect the community’s needs, including reintegrating it into the street grid and constructing housing as well as commercial space for research and development, advanced manufacturing and some of the new economy businesses that are thriving in Pittsburgh in fields such as robotics. The site has now completed the rezoning process, and has been approved for $80 million in tax-increment financing, the largest in the City of Pittsburgh history. A massive site grading process was completed in 2014 and construction on Phase 1 infrastructure started in the Fall of 2015. Renovated streetscape in front of Mill 19. 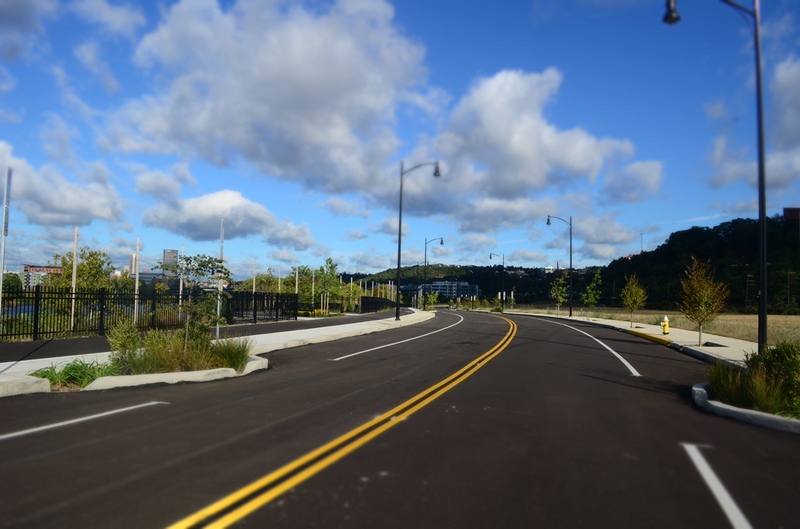 Now, the project’s 1.5-mile Signature Boulevard is in place, which includes extensive trails, storm water management, dedicated pedestrian walkways and bikeways. Next comes the renovation of the gigantic former steel mill, where the plan is to keep the original steel superstructure intact and in place and to construct within it three new, self-contained buildings. 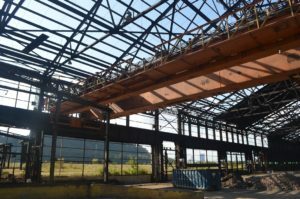 Demolition and remediation of that structure are about to begin and Carnegie Mellon University’s Advanced Robotics Manufacturing Institute is currently in negotiations to be the first tenant. RIDC is also in discussions with several large international technologies companies, that could ultimately occupy the second building. The surrounding community is already benefitting, with new retailers and other businesses moving into the area based simply on the construction activity and enthusiasm about plans for the future. Rendering of Almono Mill 19 after reuse. Clearly, a project like Almono could not move forward without the unique tools an entity like RIDC can provide. Given the scope of the project, the long-term time horizons, the need for community support and the risks associated with it, only a nonprofit, mission-driven entity could have undertaken it and had the expertise to accomplish it. That’s the model. Taking on projects that would be too daunting and economically unfeasible for private sector developers. Applying a vision for capturing opportunity for the region and serving as a catalyst for growth for the community. Assuming a higher than usual risk/reward ratio, content in the knowledge that it will be part of a portfolio that is balanced with more mature, more profitable ventures. Putting properties back on the tax rolls and filling them with companies and jobs. This model has been proven successful in the Pittsburgh region. Others should consider drawing on these experiences as they also seek to recover from their own past economic struggles. UPDATE: On October 13, 2017, the Almono site was renamed “Hazelwood Green“, to better integrate it into the community. See related article. UPDATE: On November 1, 2017, it was announced that—as part of an agreement between Carnegie Mellon University (CMU) and RIDC—the university will lease two floors, or approximately two-thirds, of the 94,000-square-foot Mill 19 building. 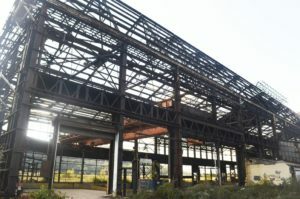 The new building will be constructed entirely within the enormous skeleton of the historic former steel mill owned by RIDC. The cutting-edge facility will house research, development and office space for the nonprofit Advanced Robotics for Manufacturing Institute (ARM), a $250-million public-private collaborative catalyzed by CMU that puts new technologies to work for industry, and for CMU’s Manufacturing Futures Initiative (MFI), an interdisciplinary research initiative. 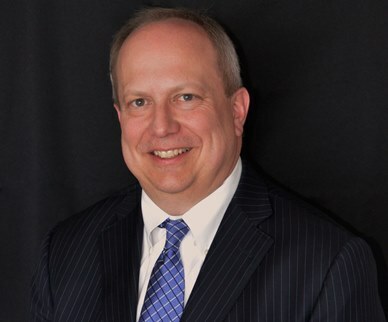 Donald F. Smith, Jr., Ph.D is the President of RIDC of Southwestern Pennsylvania. 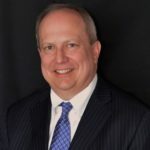 He is a nationally recognized expert in regional economic development, with a wide variety of work experience at the local, regional, state and national levels. With a unique blend of academic and practitioner experience, Don’s work has focused on how regions can leverage and complement their innovation institutions. President of RIDC since 2009, he has also served as a lead analyst on the statewide economic development strategy Investing In Pennsylvania’s Future in 1987, through work on the Regional Economic Revitalization Initiative, and key roles in the formation of Innovation Works in 1998, The Pittsburgh Digital greenhouse in 1999 and the Life Sciences Greenhouse in 2000. Don held the nationally unique role of VP of Economic Development for both Carnegie Mellon University and the University of Pittsburgh – the first such collaboration between unaffiliated universities to advance regional economic development.